Benjamin (Bibi) Netanyahu has been facing legal troubles as Prime Minister of Israel. This is too bad since I’ve had admiration for Bibi for thumbing his nose at a corrupt Obama, the Antisemitic United Nations, and allowing Jewish settlements to proceed in Judea/Samaria which is legitimately Israel’s land contrary to the propaganda of the fake-people known as Palestinians. LET’S ALSO STIPULATE that Netanyahu has stood against Iran’s nuclear weaponry ambitions when Obama was willing to wink to a faux slow-down only to allow future nuke armament. Bibi’s legal woes seem to be making inroads against his government’s reelection in upcoming April elections. Since Israel is a Parliamentary system, governments are elected by political party coalition blocs. Apparently past political allies are breaking away hoping to form their coalition bloc for government. This April’s elections in Israel are no longer a sure thing for Netanyahu, but even with his rivals teaming up against him, the race is still Bibi’s to lose. 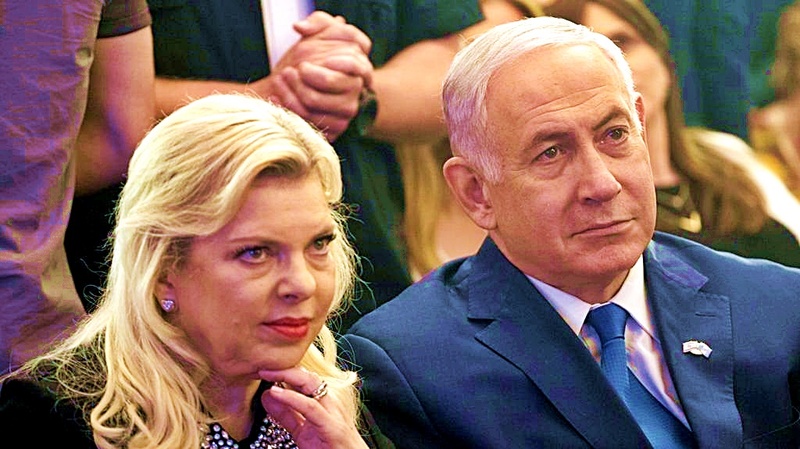 In recent weeks, the Israeli elections, called for April 9, 2019, changed from a sure thing for Prime Minister Benjamin (Bibi) Netanyahu to something approaching an actual race. The election is still Netanyahu’s to lose, but it certainly has become more interesting. On December 26, 2018, the Knesset (Israel’s Parliament), in which Netanyahu’s government has a thin but stable majority, voted to disband itself and to move up the elections planned for November 2019. The proximate cause was Netanyahu’s desire to receive a renewed mandate from the public in the face of the possibility of criminal indictments being issued against him (one has already been issued to his wife) by the Attorney General, and Netanyahu’s declared intention not to resign if indicted. Netanyahu probably assessed that in the political constellation existing at the time none of the other heads of party in the Knesset had the stature to defeat him. In September, Lieutenant General (res.) Benjamin (Benny) Gantz, the former Chief of General Staff of the Israel Defense Forces (IDF), had ended the compulsory three-year “cooling-off period” for retired senior officers. This event was widely anticipated by Netanyahu’s opponents, and there had been much speculation—and elements of a “bidding war”—regarding his joining an existing party. On December 27, Gantz registered a political party by the name of “Israel’s Resilience (Hosen L’yisrael).” On January 29, Gantz announced that his party had unified with the Telem list headed by former Chief of General Staff and Defense Minister Moshe (Boogie) Yaalon, who would be number two on the combined list. On the same day, he gave his first, much anticipated programmatic speech, which was well received. Since then, Gantz has become the main challenger to Netanyahu. On February 21, after a lengthy tug-of-war with the former front runner of the opposition, Yair Lapid, head of the Yesh Atid party (who felt he, as the more experienced politician, should be at the top of the list), the two parties agreed to run on a joint list, called “Blue-White” (the colors of Israel’s flag), with Gantz first on the list, Lapid second and Yaalon, third. Lapid had been under significant public pressure by the anti-Netanyahu camp, which feared splitting its vote, and that cannibalistic infighting in the Center would only help Netanyahu. The two parties have agreed that if the joint list is able to form a government, Gantz would serve as Prime Minister for the first 30 months, and Lapid for the next 18. While handicapping polls is a mug’s game, it appears that since Gantz’s Israel’s Resilience has been running at around 20 seats in the 120-seat Knesset in the polls, and Yesh Atid at 10-12, the combined list is running neck-and-neck with Netanyahu’s Likud party, which is polled at around 30 seats (similar to their current number).1 It may even enjoy a bounce due to the merger. This is dramatic, since Gantz’s party didn’t even exist before late December. Netanyahu’s strategy now largely consists in attempting to besmirch his rivals’ records (slightly problematical, since both Gantz and Yaalon served him as Prime Minister), and piling up achievements that highlight his political and security experience. This includes taking credit, after a decade of useful ambiguity, for attacks on Iranian targets in Syria; stressing diplomatic successes with Arab and Muslim states, including visits to Oman and Chad; spotlighting his close relationship with the current U.S. President and his willingness to irritate his predecessor; and taking an outsized role at the recent Warsaw Summit. (His arranging to host a summit, in Israel, of the Visegrad Group states—Czech Republic, Poland, Hungary, and Slovakia—did not work out as planned: When Netanyahu and his freshly appointed Foreign Minister made remarks that annoyed the Poles, the summit was summarily cancelled.) But will the strategy work anyway? 1977—Democratic Movement for Change—15 seats (the third largest party in the Knesset). 1981—Telem (Dayan)—2 seats, Shinui -2 seats. 1996—Yisrael Ba‘aliya—7 seats, The Third Way—4 seats. 1999—Shinui (new)—6 seats, Center—6 seats. 2006—Kadima—29 seats (the largest party in the Knesset, in both this and the 2009 elections), Pensioners—7 seats. 2013—Yesh Atid—19 seats (second largest party), Hatnua—6 seats. 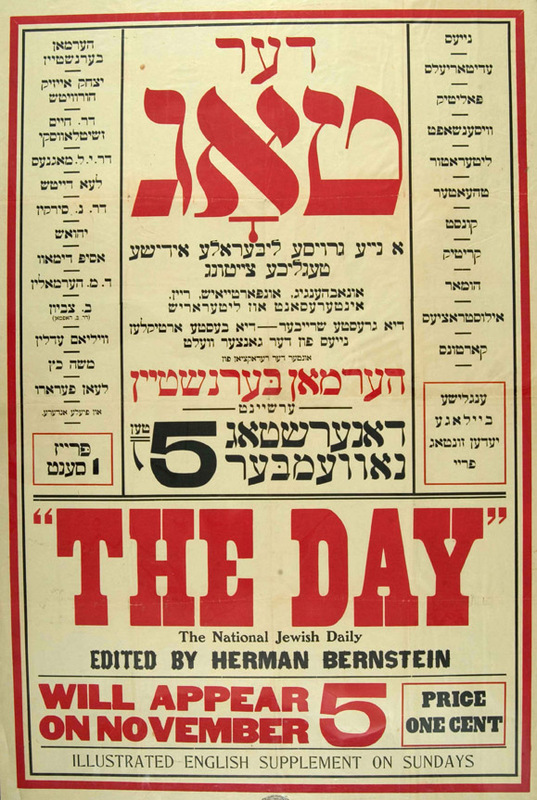 These parties—with the notable exception of Kadima, formed by breakaway, very senior members of Likud and Labor—were often headed by non-politicians or unconventional politicians and strove to create lists of mostly non-political candidates “untainted” by previous service in the legislature or government. Yesh Atid itself was founded in 2012 and only entered the Knesset in 2013; Lapid was then a media personality and political newcomer. “Israel’s Resilience” is, therefore, only the latest example of a long tradition in Israeli politics. The second trend that Gantz’s meteoric rise illuminates is a recurrent longing on the part of the Israeli public for a “man on horseback”—a politically unsullied general who rises above mere politics yet is a proven “safe pair of hands.” This phenomenon is partly due to the centrality of security concerns in Israel, but also to the high level of trust in the IDF in Israel, as opposed to political institutions. According to the Israeli Democracy Institute’s Annual Index, the IDF is the most trusted institution by 78 percent of the general public, as opposed to the media (31 percent), the government (30.5 percent), the Knesset (27.5 percent) and political parties (16 percent). Political debuts by generals into Israeli politics have known their ups and downs over the years, and once engaged, most generals have not proven themselves significantly different in their political and executive capabilities than their civilian counterparts. Be that as it may, half of the “third way” parties listed above were headed by a former general or senior security official. In addition, many civilian parties seek the “ballast” that former generals or security officials can provide to their civilian-led lists (witness Labor’s recent “parachuting” of a retired general to their number two slot). Unlike in most states, however, the Israeli electorate’s desire for the involvement of former generals in politics does not necessarily stem from a conservative worldview. To the extent that the IDF command level can be said to have a political orientation or culture, it has been, for the past thirty years at least, moderate. Of the three former generals to have become Prime Minister, two—Itzhak Rabin and Ehud Barak—headed the Labor Party, and one—Ariel Sharon—broke with his Likud Party to form the centrist Kadima. The majority of generals and former senior security officers who have gone into politics in Israel’s history entered Left and Center parties. In any case, the addition of Yaalon to Gantz’s list, and the addition of yet a third former Chief of General Staff, Gabi Ashkenazi, present a serious challenge to Netanyahu’s self-professed image as “Mr. Security,” and to a campaign strategy that stresses his foreign policy and national security expertise and experience. A third trend in Israeli politics highlighted by the current race is the increased difficulty of coalition building. No large party has ever been able to form a government entirely on its own in Israel; the government has always been a coalition. The head of the party with the most votes is the one Israel’s President first asks to form a coalition government. In 2009 Netanyahu was able to form a government by bringing in the Labor Party under Ehud Barak (against the opposition of many luminaries within Labor); in 2013 Yesh Atid gave him the majority, and in 2015 Kulanu joined his coalition. In the past, creative coalition-making was eminently possible. In recent years, however, the political system has hardened. The chances are vanishingly small that the parties to the right of Likud will join a Left or Center-led government. However, many of their leaders are personally ill-disposed toward Netanyahu, and may be positioning themselves to try to take over Likud if Netanyahu is forced from office. The Arab party bloc will not join a right-wing government, but has a significant problem with the Center parties, which, in their desire to woo voters from Likud, often venture into problematic rhetoric and policies from the perspective of Arab citizens. The ultra-orthodox parties, which used to be ideologically flexible on security and foreign affairs and have joined Left and Center governments in the past, have in the Netanyahu years become ever more oriented toward the Right, in consonance with the political leadings of their electorates. It is therefore more difficult in general for parties of the Center and Left to build a coalition, since any coalition that excludes Likud and the right-wing parties would have to include both the ultra-orthodox and anti-ultra-orthodox (Meretz and to a lesser extent, Yesh Atid) parties, which are ideologically incompatible. Otherwise, they would have to depend for their majority on the support of the Arab party(s), which they fear doing since they leave themselves open to claims of “lacking a Jewish majority”—an accusation that haunted the government of Yitzhak Rabin until his assassination. The bottom line: For several decades it has been easier for Likud to form a narrow government than for parties to its Left to do so. The math may work out slightly differently in the coming elections. This is to a large part due to the “electoral threshold,” a mechanism built into Israeli election law, which was designed to prevent the proliferation of small parties, which were perceived to have led to un-governability and government instability in the past. The 11th (1984), 12th (1988) , and 15th (1999) Knessets, for instance, each contained 15 parties, some of which had one or two seats but held the pivotal role in close election results and therefore had inordinate leverage and influence. In 2014, the Knesset passed legislation raising the threshold to 3.25 percent of the vote: Since the Knesset has 120 seats, this meant that the minimum number of seats a party needed to get into the Knesset was four. That, in turn, led to the merging before the 2015 elections of ideologically close parties to ensure reaching the required number of votes, creating the Jewish Home party on the Right, and the United Arab List on the Left. However, personal rivalries and stubborn ideological differences within these “portmanteau parties” have caused them to collapse: Labor’s Gabbay unceremoniously dissolved his alliance with Tzippy [sic] Livni, who after 20 years (including an electoral victory in 2009 that she was unable to translate into a governing coalition) recently announced her retirement from politics; the Jewish Home split into three parties; and the Arab List has split into at least two. This could have led to the discounting and “loss” of a substantial number of votes on the far Right, since they will be spread too thinly over too many parties. In addition, Kulanu, Netanyahu’s Right-Center partner, may not pass the threshold. This would strengthen the larger parties, including their ideological enemies (Israel’s Resilience/Yesh Atid). Netanyahu therefore put unprecedented effort into convincing the two remaining modern-Orthodox, pro-settler factions in Jewish Home (whose leaders, Naftali Bennet and Ayelet Shaked, split to form the own, secular, party, the New Right), to join with “Jewish Power” (Otzma Yehudit), a far-right racist party not in the current Knesset. This would ensure that votes cast for these three parties’ would not be dustbinned due to their not crossing the threshold. Netanyahu has promised the resulting, new, far-right portmanteau party the Education and Housing Ministries and two seats in the Security Cabinet; He also promised to put their representative in the 28th place on his own Likud list, from which that representative would return to the new party after the elections. This strategy should strengthen the Right bloc and prevent the erasure of votes. But it is also risky, since some “soft” Likud and Jewish Home supporters are dismayed by the entry of the racist, and perceived anti-democratic, Jewish Power into their camp. With the reshuffling of the party decks and the creation of a new balance between the Center-Left and the Right, the ultra-orthodox parties may return to their traditional balancing role. Lastly, it is important to note the decline of the Left in Israeli politics. Labor, which as recently as 1992 had 44 seats in the Knesset (and 34 in 1996), had 19 seats in 2006, 13 in 2009, 15 in 2013, and 24 in 2015, after it joined with the remnants of Kadima under Livni. The most optimistic predictions say it will win 10-11 in the next Knesset. Meretz, the Zionist party to the left of Labor, which had a peak of 12 seats in 1992, has five seats in the current Knesset, and is expected to achieve a similar result in the next elections, if it doesn’t disappear entirely due to the election threshold. Livni’s party, the rump of Kadima, has folded. Why has this happened? The perceived failure of the Oslo process, and of the unilateral withdrawals from Southern Lebanon (2000) and the Gaza Strip (2005), key policies of Left- and Center-led governments; the continued stalemate on the Palestinian issue (attributed by the majority of Israelis to a lack of a viable Palestinian partner, especially since the split in 2007 between the Gaza Strip under Hamas and the West Bank under the Palestinian Authority/Fatah); as well as demographics, have moved the midpoint of Israeli politics to the Right. Centrist (or even right-of-center) parties like Yesh Atid and Israel’s Resilience are delegitimized as “leftists”—a term of opprobrium in Israeli political discourse today: The actual Left is largely seen as irrelevant. Recent internal developments in Labor seem to indicate that the party is shifting from seeing itself as a potential ruling party to a democratic-socialist “woke” opposition, which may explain the internal pressures to merge with Meretz on its Left. The overarching dynamics of the system as sketched above still work to Netanyahu’s advantage. He enjoys the powerful benefits of incumbency, with its accompanying ability to largely shape the political, diplomatic, and media agenda. His base disregards his legal problems, either seeing them as the product of a conspiracy by left-leaning elites and the deep state or shrugging them off as peccadillos that should not bring down a strong and effective leader (especially since they would return “the Left” to power). To win, Netanyahu only needs his current coalition to do no worse than before in the aggregate; the election is his to lose. However, Netanyahu’s legal issues and increasingly polarizing political style, combined with possible loss of seats due to inability of prospective coalition partners to pass the electoral threshold, may have opened a narrow path to victory for a “clean-hands” rule-of-law candidate of the Center-Left. Even if Netanyahu is elected, it is not at all clear that the indictments (which are expected to come before the elections despite the Prime Minister’s ferocious efforts to push them off) and the court process they will engender, will allow him to remain in office through his term. So whatever the results of this election, expect more political reshuffling and possibly even another round of elections in the not-so-distant future. 1A word of caution: Public opinion polls in Israel historically slightly underestimate support for Likud. Joshua Krasna, a former senior Israeli civil servant, lives in Israel, teaches at NYU’s Center for Global Affairs, and is a senior fellow of the Foreign Policy Research Institute, as well as a fellow of the Jerusalem Institute for Strategy and Security. Author oneway2dayPosted on February 25, 2019 Categories Conservative, Elections, Israel, Left Wing, News and politics, OrganizationsTags Benjamin Netanyahu, Benny Gantz, Bibi Legal-Woes, Blue-White Coalition, Boogie Yaalon, Gabi Ashkenazi, Hosen L’yisrael, Israel Elections 4/2019, Parliamentary Govt, TAI, Tzipi Livni, Yair Lapid, Yesh Atid PartyLeave a comment on Can Netanyahu Lose? 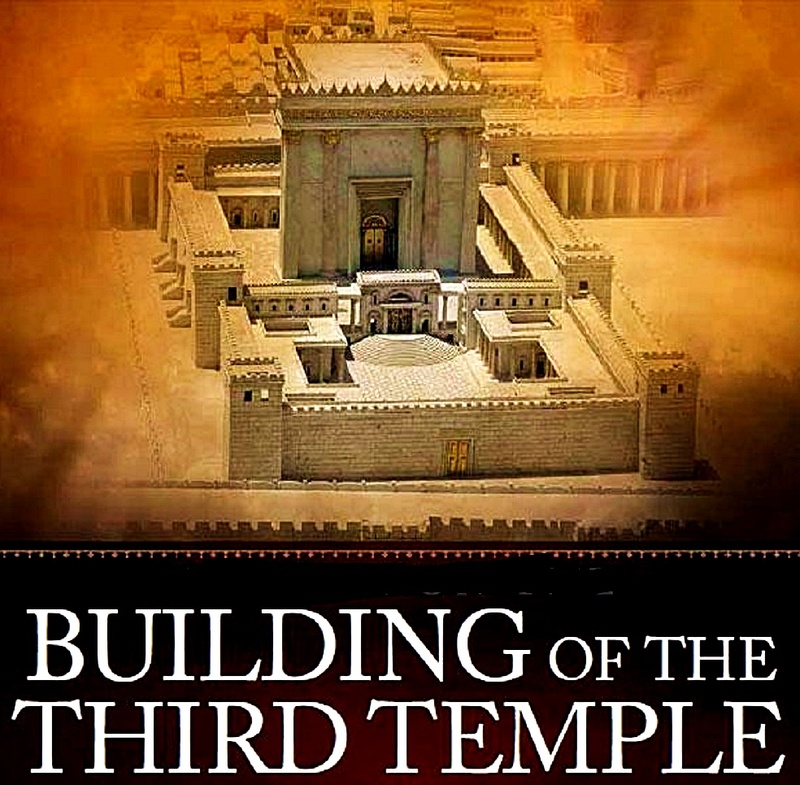 Here is some interesting news sure to be of interest to fellow Christian Zionists and Jews interested in building the Third Temple: Rabbi Harry Moskoff believes the original first two Temples can be located on the Temple Mount other than the defiling Dome of the Rock or Al Aqsa Mosque. Hashem is a Hebrew term for God. Literally, it means “the name.” In the Bible the Hebrew word for God is made up of four vowels, and according to tradition it was only pronounced on Yom Kippur by the High Priest. Saying God’s name was considered a very serious and powerful thing, so much so that one of the Ten Commandments prohibits us from saying God’s name in vain. As a result, people have come up with various substitutions. 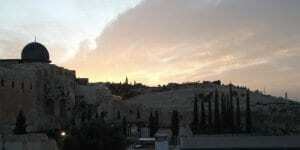 The Temple Mount is the holiest site in Judaism. To be more precise, the site draws its sanctity from the two Temples that once stood there. Their precise location is a source of great debate and many Jews refrain from entering the site lest they enter areas that were restricted to Kohanim (priests) who were on the proper level of ritual purity. Knowing the precise location of the Temples would permit all Jews to ascend to the site as well as pave the way for a Third Temple to be built. 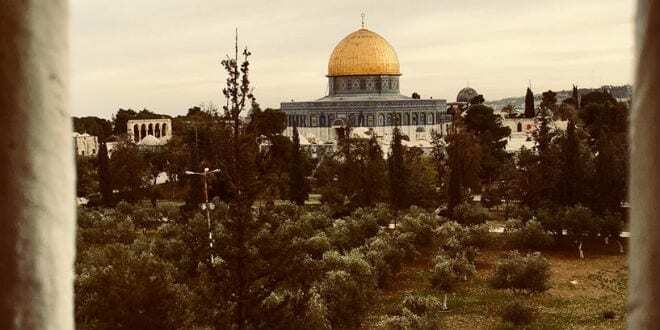 Jews who ascend the Temple Mount frequently look to the golden dome as the focal point, believing the two Jewish Temples stood precisely there with the large stone, the centerpiece of the Muslim shrine, as the base for the Holy of Holies. Rabbi Harry Moskoff, the author of the A.R.K. Report, has come to a different conclusion; the Dome of the Rock is close but not on spot. His 20-year search has led him through many possibilities. The Dome of the Spirits, Bir al-Arwah in Arabic, is a partly natural, partly man-made cave. What lies beneath the surface is unknown as the Muslim authorities refuse to allow even cursory observations on the Mount. 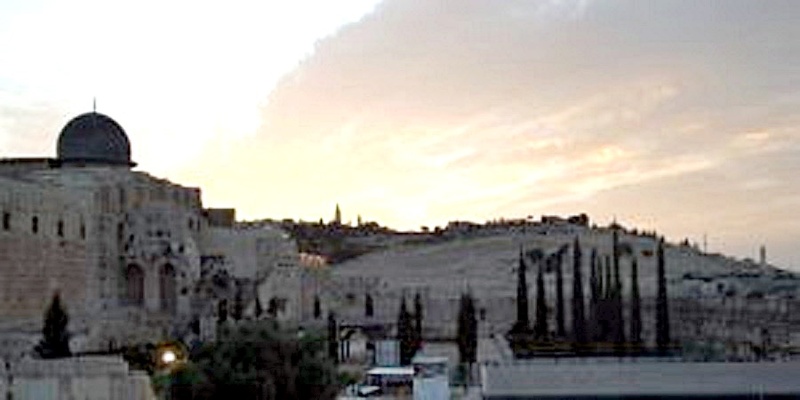 Moskoff then began to investigate the theory proposed by archaeologist Tuvia Sagiv who held that the Holy of Holies stood where the al-Qas (cup) Fountain now stands, much further south than the Dome of the Spirits. The fountain is the main ablution located between the Dome of the Rock and the silver-domed Al Aqsa Mosque. The fountain was originally supplied with water from Solomon’s Pools near Bethlehem, but water is now supplied by pipes. 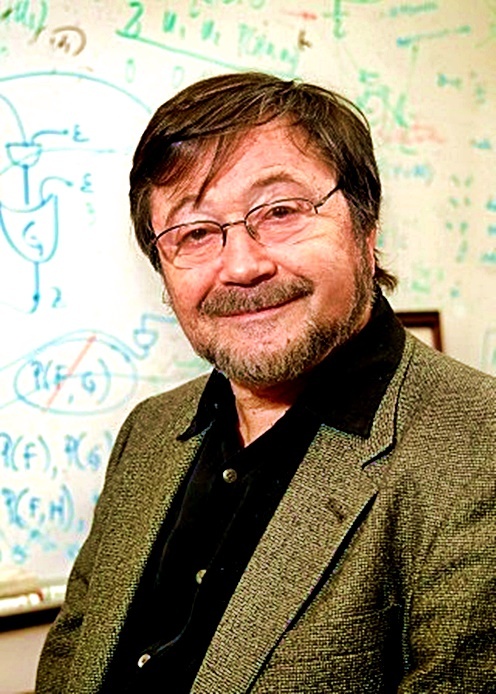 “Each theory stood on the merits of its proofs but when combined, some of the proofs each man brought canceled out the other theory,” Moskoff said. Moskoff decided to continue his search for a location that would satisfy all the proofs. But what had been made clear to was that the Dome of the Rock did not satisfy any of the proofs. Moskoff emphasized that the Dome of the Rock is shaped like a Byzantine shrine and not like a typical mosque and does not face Mecca. He noted that the layout of the Dome of the Rock in relation to Al-Aqsa Mosque is identical to a temple of Jupiter found in Lebanon. The Mishnah (oral law) states explicitly that the Holy of Holies was not in the center of the Temple Mount. Moskoff pointed out that topography was altered at several stages in history; during the reign of the Hasmoneans and 200 years later by King. The Bible states that Solomon built the Temple on the mountain. 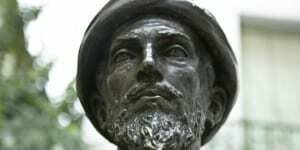 Moskoff also cited a personal account recorded by Rabbi Moses ben Maimon, known as Maimonides and by the acronym Rambam who was the foremost Torah authority of the 12th century. The Rambam visited Jerusalem and ascended the Temple Mount, entering the Dome of the Rock. 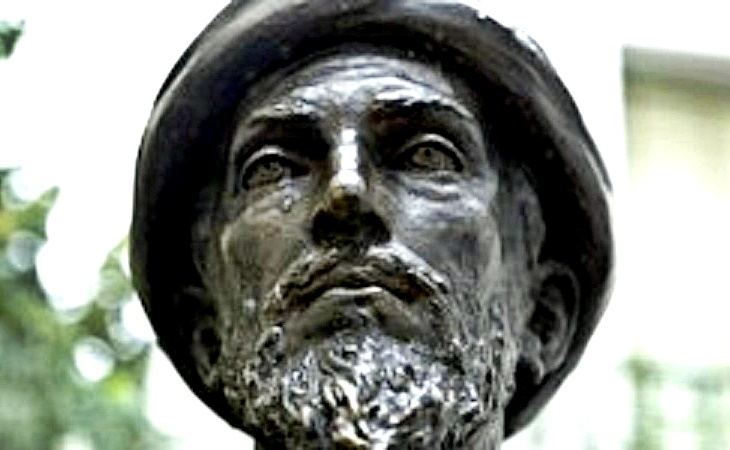 “The Rambam would not have entered the building if he thought it was the location of the Holy of holies,” Moskoff asserted. Combining all of the archaeological hints and based on the Jewish texts, Moskoff came to the conclusion that the Holy of Holies stood to the southwest of the Dome of the Rock. It is interesting to note that his theory indicates the First Temple was tilted at an axis of 6.1975 degrees to the north of east in order to directly face the sun as it rose on Mount Moriah. The Second Temple was built on an axis of 5.971 degrees north of east. The change in alignment was due to the 70 years separating the destruction of the first Temple from the construction of the second. Rabbi Moshe Sternbuch, one of the leading Haredi (ultra-Orthodox) rabbis, and several other leading rabbis have written decisions agreeing with Moskoff’s theory. If proven accurate, Moskoff’s theory would permit the construction of a structure for Jewish worship without infringing on the Muslim structures currently at the site. Moskoff is working to bring his theory to the attention of Israeli politicians. He related an experience in which he witnessed a senior Palestinian politician addressing a group of foreign press in Hebron. Moskoff learned a deep lesson from this. Moskoff’s theory would permit Jews to ascend to the Temple Mount without fear of wandering into forbidden areas. But as a Kohen (a descendant of Aaron and a member of the priestly caste) Moskoff warns that visiting the site is not to be treated lightly and only recommends it under specific conditions. A person who intends to ascend should prepare themselves physically and spiritually. Jews are required to immerse in a mikveh (ritual bath) and may not wear leather shoes. While on the site, a proper level of reverence must be maintained and the sanctity of the site must be recognized. 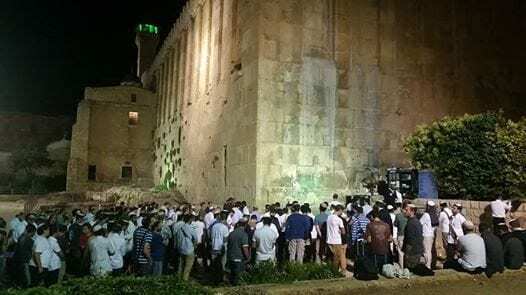 AUTHOR’S NOTE: Rabbi Moskoff has spent many years researching the subject but, as the article noted, the Muslim authorities refuse to allow any observations or archaeological research at the site. The article was intended to present Rabbi Moskoff’s theory but at this point in time, it remains a theory. Anyone who has any questions regarding the precise locations of the areas permitted to Jews on the Temple Mount is urged to consult their preferred rabbinic authority. GOD BLESS THE CANARY MISSION for exposing Antisemitic Jew-Hatred among Westerners who should know better yet are supportive of Islamic terrorists such as Hamas, PLO and ilk. On a recent Thursday, at about 8 am, on a desk illuminated by light from a nearby window, a paper cup of steaming coffee laden with cream and sugar was nudged near an open laptop, thus beginning a ten-to-twelve-hour day of mind-numbing monitoring by a Canary Mission [CM] staffer at one of the organization’s several locations. In endless social media searches, refreshes, clicks, video reviews, forwards and saves, the Canary Mission staffer will capture the worst of the openly anti-Semitic and anti-Israel Boycott, Divestment and Sanctions agitation and hate speech erupting all across America’s campuses. Their work also encompasses white nationalism. BDS advocates often spew some of the most venomous hate speech visible on the Internet, hate speech that Canary Mission captures and re-publishes in personal profiles. For example, the tweet by a Chicago activist with Students for Justice in Palestine who tweeted this joke: “Why did Hitler commit suicide?…….. He saw the gas bill. Pahhahaha.” Or the UCLA protestor whose Twitter account was captured with this remark: “Mmmaaaannnnnnnnnnn what’s with all this peaceful approaches!?? F**k that. I want terrorism and another intifada.” The same UCLA student reportedly added a photo close-up of a gun and bullets. After the massacre at Pittsburgh, calls went out broadly to monitor, spotlight, and report hate speech, especially since hateful acts of violence are often preceded by hate speech. That is precisely what Canary Mission does. Canary Mission tracks social media and videos, capturing BDS, anti-Zionist, and anti-Semitic expressions, triangulating them into individual profiles that expose and create permanent, highly-visible records of the words and images BDS and SJP leaders actually use. The profiles are almost always incontestable since CM links to actual videos, tweets and other open documentation. Canary Mission’s intent is to shine an indelible light on students, faculty, and others, thus creating a negative incentive or at least a consequence for anti-Israel and anti-Semitic hate speech. Ironically, at a time when Canary Mission’s monitoring seems the most needed, the organization is fighting a public relations war in the Jewish media, the anti-Israel media, and the activist media. To me, it’s confusing. Canary Mission is doing the very same thing that the Jewish Telegraphic Agency and many other newspapers asked me to do in 2013 when, in an award-winning syndicated series entitled “Funding Hate,” I documented the virulent intersection of NGOs and anti-Jewish and anti-Israel hate speech at a UN conference in Durban. 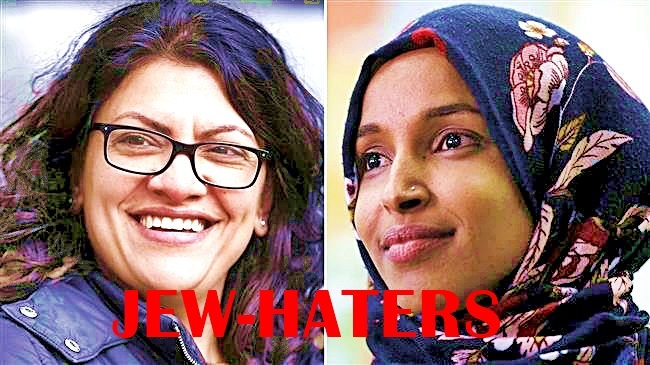 That international hate fest was replete with Jewish caricatures, Nazi emblems and Hitler adulation, in large part funded by the Ford Foundation. As a consequence of the series, the Ford Foundation revamped its funding. Despite generations of precedent, a confusing picture of Canary Mission now exists in some parts of the Jewish and larger media. The admittedly press-shy organization is often negatively referred to as “shadowy.” But when the group first emerged in late 2015, it took me only 34 minutes communicating cold via their website to secure interviews for syndicated publication, and eventually a photograph taken in their office. That first request was only three words: “contact me back.” Since then, I have monitored the group, especially as ominous news stories have appeared in the Jewish media and they routinely reply at the same speed and caliber as most other Jewish groups. Like other Jewish organizations, Canary Mission admits to being selective in its media contacts. For this article, more than two dozen routine written and verbal exchanges transpired—as routinely as for any Jewish organization. To date, the only legitimate known photo of Canary Mission operatives is the one taken at my request—a staffer’s hand over a laptop displaying the CM website. 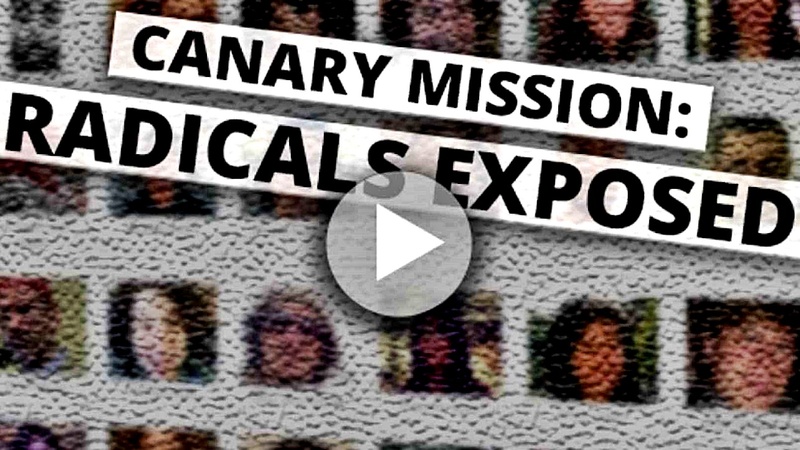 Canary Mission is funded through tax-deductible entities. The media campaign to undermine Canary Mission also includes seeking out CM’s donors, trying to stigmatize those who are financially supporting the blacklisting and documenting of hate speech and anti-Israel delegitimization. Ironically, many of these media corporations are themselves tax-deductible agencies that solicit donations hourly. All too often these publications obscure their own funding and fund-raising activities—which can be triggered with the click of the omnipresent “Donate” button. Anyone in any country can click to pay via a credit card or PayPal. Some pre-set online buttons allow $1,000 clicks. One such media button, when tested, allowed a $100,000 donation. 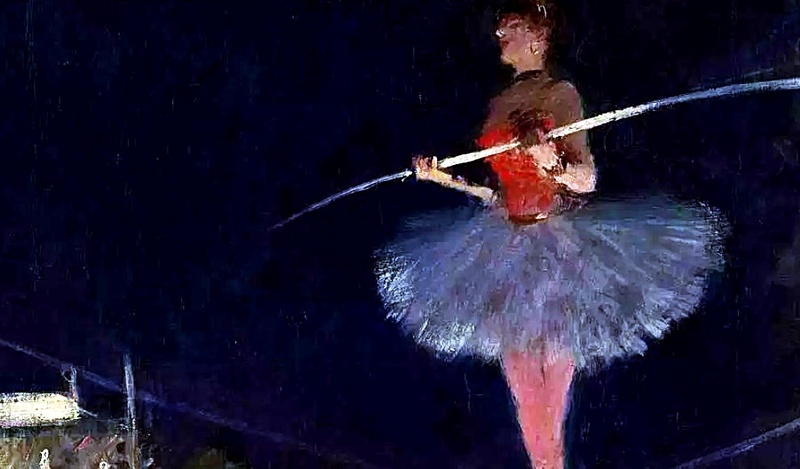 Major media grants are often solicited with written proposals promising editorial slants or directions. Some media even seek funding for specific investigations or features. Whereas major TV and print media, such as the Associated Press or PBS often identify their funding, such transparency is commonly absent from the many Canary Mission detractors in the Jewish media. It all reminds me of the acrimonious divisions in the American Jewish community that arose during the Hitler regime. Today—a generation later–historians recognize that such defense-minded entities as The Jewish War Veterans, the American Jewish Congress, Forverts and the Jewish Daily Bulletin rose to the occasion and stood up for Jewish rights. The silent and fearful leaders of B’nai B’rith and the American Jewish Committee have been skewered in the lens of history for their shameful lack of courage in the face of Nazi oppression, and even for attacking or demonizing Jewish leaders who did dare to speak up. A generation from now, when the chronicle of our era is written, how will historians judge those who acted to defend against anti-Jewish and anti-Israel bigotry—and those who did all they could to frustrate those efforts? History’s analysis may repeat itself as historians once more view harshly those in the Jewish community who used their power to obstruct Jewish defense. Though secular science dominated people will say there is a scientific reason & solution for Tehran slowly being swallowed by a sinkhole, the divine retribution thoughts in this WND article fits for me. Iran constantly calls for Israel’s destruction which is a curse. 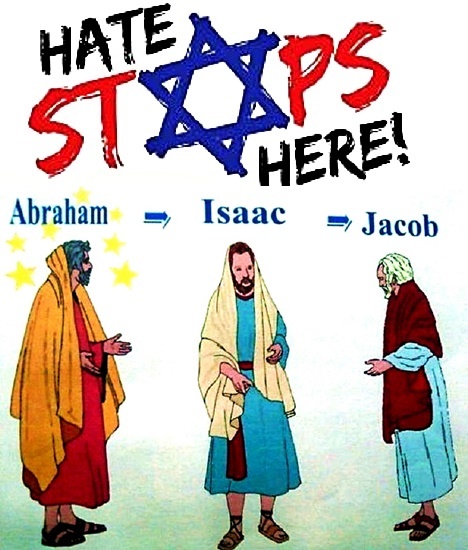 5 “How lovely are your tents, O Jacob! Iran’s capital of Tehran, a city of 13 million people, is sinking – fast. That’s the assessment of geo-scientists Mahdi Motagh and Mahmud Haghshenas Haghighi of the German Research Centre in Potsdam who used satellite data images to monitor subsidence across the region between 20013 and 1017 that show the land sinking radically due to depletion of groundwater aquifers, shows a recent report in Nature.com. But, given the radical Shiite regime’s regular threats against Israel, some rabbis see the possibility of divine retribution – reminding them of the biblical challenge to Moses in Numbers 16 by Korah, who was swallowed up by the earth along with his followers. The collapse is spreading now to encompass the city’s airport by up to 10 inches a year. But an impending catastrophe is much more widespread across the entire western Tehran Plain including the urban area, satellite cities and the southwest Varamin Plain, an agricultural area that supports it. Huge fissures – several miles in length and up to 12-feet wide and deep – have opened up in the land to the southeast of Tehran, some of which are threatening to topple power-transmission lines and buckle railways. “When walking around these areas, we see uneven street surfaces, shifted curbs, cracks in the walls and even tilted buildings, some of which have had to be demolished,” reports Motagh. The growth of underground cracks sometimes produces sudden sinkholes. 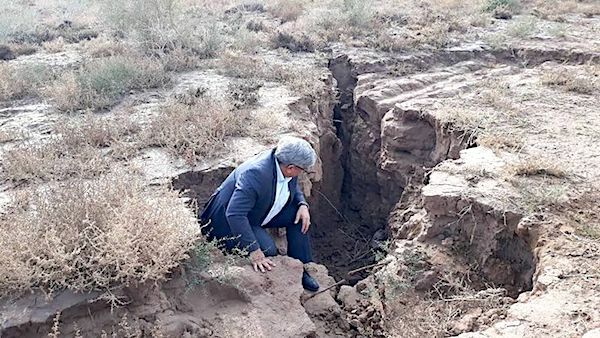 “One farmer I met was locked up for hours when the ground gave way beneath him and he fell into a six-meter-deep crack,” says Ali Beitollahi, head of engineering seismology at the Building and Housing Research Center in Tehran. Such farmland is becoming unviable, because the cracks drain irrigation water from the surface and leave crops parched. The cracks and fissures threaten an area that hosts more than 100 miles of railway, 2,000 miles of roads, 21 bridges, 30 miles of oil pipeline, nearly 200 miles of gas pipeline, 60 miles of high-voltage electricity lines and more than 250,000 buildings. To make matters worse, Iran is one of the most seismically active countries in the world, being crossed by several major faults that cover at least 90 percent of the country. As a result, earthquakes in Iran occur often and are destructive. Winston believes Tehran’s dilemma is clearly part of divine intervention but added a strong disclaimer. Winston reminds the public that Iran’s water shortage has been well-documented. He notes in June, Prime Minister Netanyahu offered Israeli water technology to Iran. Rabbi Ben Artzi told Breaking Israel News that God operates in the world via nature. This is particularly true of Iran, the rabbi said. 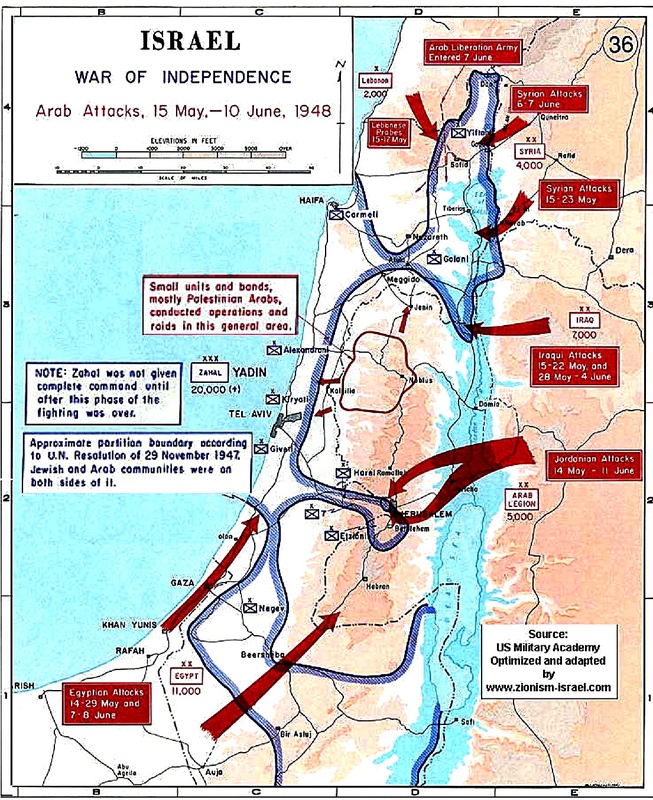 “Every time Iran rises up against Israel, it will get hit by Hashem (God, literally ‘the name’) – hit hard,” Artzi said. Rabbi Yosef Berger, the rabbi of King David’s Tomb on Mount Zion, said he has mixed feelings about the crisis in Iran. 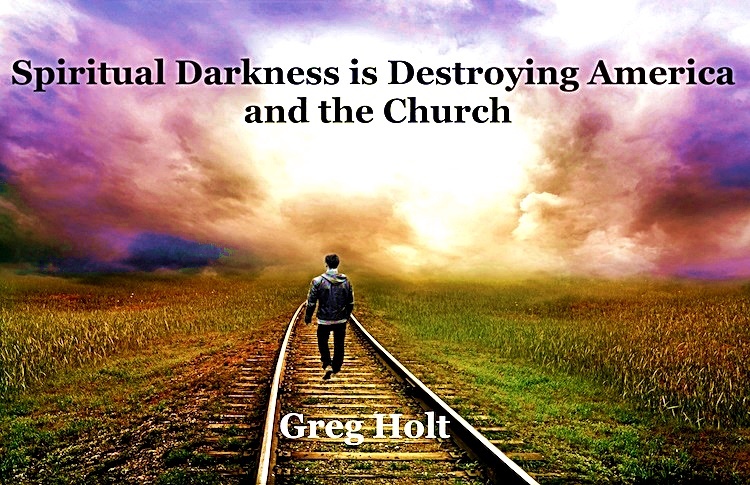 He sees a parallel between the news and the biblical story of Korah and his followers who were swallowed up in the desert for challenging Moses and Aaron. Author oneway2dayPosted on December 9, 2018 Categories Antisemitism, Christian Politics, Counterjihad, Israel, News and politicsTags Antisemitism, Blessing-Cursing, Divine Retribution, Iran, Israel, Rabbi Ben Artzi, Rabbi Pichas Winston, Sinkhole, Tehran1 Comment on SWALLOWED UP: IRAN FACING DIVINE RETRIBUTION?